If you're serious about buying or selling a home, talk to Susan Shepherd. A top producer with 31 years of experience, Susan understands and knows the market ; continuously providing professional and courteous service and superior negotiating skills. Keeping up with Today's technology , Susan keeps you informed of what the market is doing by providing you with emails and alerts that are specific to your real estate needs. She has a constant handle on the Real Estate Market and will be more than happy to educate and assist you through the buying or selling process. As always, she wants you to feel at ease in making one of your most important choices in life and it is her goal to provide you with a positive, pleasant, and productive real estate experience. Susan has represented over 2,500 home buyers and sellers in real estate transactions and that is due largely to referrals from her loyal and satisfied customers sending their friends and family to her for all their real estate needs. So, whether you're selling your home or beginning your search for a new home in the Evansville and Surrounding area, Susan is the agent for you!!! Contact her at susanshepherd@fcte.com or text/call her at 812.453.5447. Communication is essential in the real estate market. Providing you with a emailed report from a property showing or making a call to you with a showing response, lets the client know what is happening with their property in a prompt manner. Price Comparison/Comparative Market Analysis is crucial in this every changing real estate market. 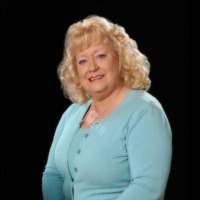 Pricing your property to sell in the time frame that fits your needs is a specialty that Susan can provide with over 31 years of experience in selling homes in the Evansville/Surrounding Area. Performance agreement -Susan guarantees that you will be satisfied with the level of service you receive in selling or purchasing your next property, or you will be released from your lising contract. With over $200,000,000 in real estate sales, Susan is getting the job done for her customers! Licensed Realtor/Associate Broker with F. C. Tucker Emge Realtors specializing in Selling and Marketing Real Estate and New Construction Homes. I have over 31 years of real estate sales experience and knowledge and over $200 million in sales, ranking me in the top 8% in the nation. I have assisted buyers and families in the building process of a new home. Working alongside many area recognized area builders including Thompson Homes, Jagoe Homes and Eagle Construction - just to name a few. I make the process easy and exciting!